To tell the truth I didn’t even know that there was an Inmarsat D+ satellite data service until I found the Satmatics booth in the far reaches of the Lauderdale Show. Satamatics, in fact, virtually owns this service, operating its own base stations and global tracking network, and making terminals like the 101 above, which it sells into many markets. Now, we’re not talking broadband here, but D+ is capable of moving small amounts of data quickly and reliably. With its low power needs and built-in GPS that means it can track a smallish boat (or vehicle) anywhere (as seen below, and bigger here). It’s also been approved for use as a SSAS (Ship Security Alert System), which would be nice to have non mandated vessels. But all that’s just scratching the surface. Supposedly the 101 can also do SMS and text e-mail, and includes numerous inputs for monitoring, as well as relays for actually taking action on the boat by (very) remote control. While I think it would be fairly easy for a boater to use a Satamatics terminal just for tracking, like this Australian sailor did, and/or SSAS, the company has not made the other possibilities easy to use. 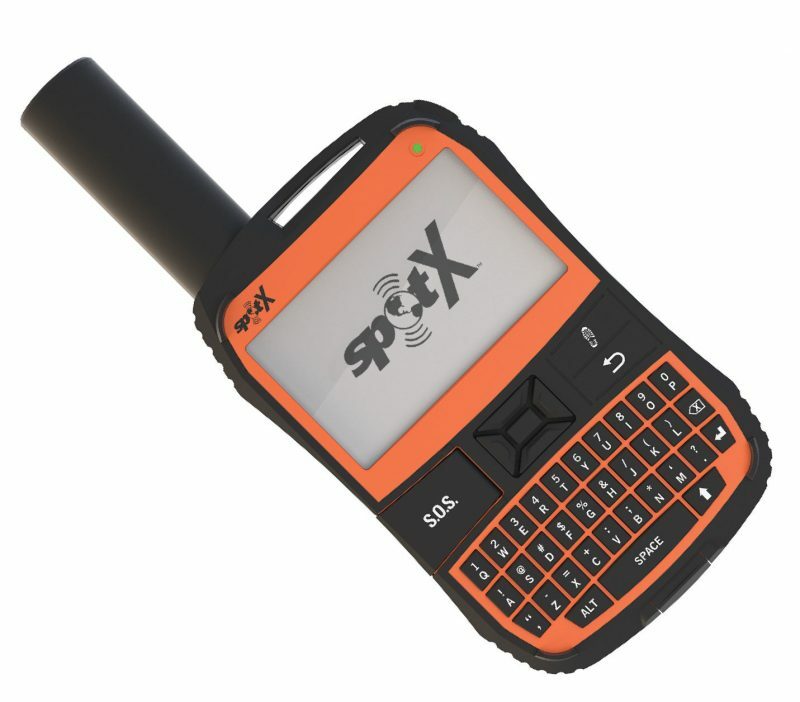 I suspect Satamatics is just too big to develop the neat multifunction boating product that’s possible with this service and transceiver, both of which I understand to be reasonably priced at wholesale. So noodle with me; how could this product be made really useful for boaters by itself or integrated into other marine electronics? Any idea what the costs are outside of the hardware? Sorry, Andrew, I can’t remember exact numbers, but I remember that both monthly flat fee and extra cents per hundred characters sounded reasonable. Ask Satamatics direct, they are definitely looking for VARs. To clarify first, I am a VAR for these units. I think I remember from the D+ conference I just attended in Belgium that the Sat-101 is being phased out. Choice will be Sat-201 for those that only need limited I/O or the Sat-201 along with a breakout box for those that need the I/O capabilities of the Sat-101. Transmissions are less than 10 cents per position update. Note that the normal transmission from these units is only 8 to 10 bytes – if you want to transmit hundreds of characters then cost becomes prohibitive & you might as well go with mini-C or higher. As for how useful it could be, I’m really surprised that every yachtie doesn’t have one on their mast – when in harbour it transmits once per day. As soon as it leaves the marina it switches over to hourly updates & maybe an SMS to the owner to let him know his boat has just sailed (in case he’s not on it!). The main market for us is vessels under the 300 ton limit that require SSAS. We currently track a couple of hundred vessels using these units & hope to expand that number soon. Dave, what’s wrong with Satamatic’s SSAS ability? It doesn’t seem fair to put it down as an experienced VAR without an exclamation. What is your VAR business by the way? For readers: my understanding is that Satamatics is now supporting some 50,000 terminals worldwide, and the wholesale price I heard was much lower than the one Dave has mentioned. There are now over 80K mobile terminals and 1M messages processed each day. Wholesale for the 201 is $450, and it is true that the 101 is being phased out due to new UK legislature precluding devices containing lead. The 201 is lead free. We have over 3000 international vessels (over 500 gross tons) equipped with our SSAS. My VAR business is tracking ships, as mentioned above. We work mainly for oil & gas companies, though do have other clients. Pricing – there are different hardware prices depending on the price you pay for your transmissions – higher hardware cost/lower transmission cost & vice versa. So, any reason why every yacht owner in the world wouldn’t want one? I’m also interested in what is holding it back. The market for SSAS was 43,000 vessels when I looked at it last. Ocean Alerts has over 3000 from that market, PurpleFinder has some as well – possibly more? Iridium also have an SSAS, but I suspect the majority of SSAS buyers chose Mini- solutions. Personally, as someone who has to install these devices, I like the Mini-C solution. However, as someone who has to pay for them, we chose the Ocean Alerts. > the world wouldn’t want one? I can see this is a convenient solution where cost is not an issue. However, for yachts that operate mostly within mobile phone coverage areas (the vast majority, as discussed under Sea Smart) there are many, much cheaper solutions. And yachts with existing satellite or SSB internet connections have free tracking options. Can these other options work with geofencing? I think the main advantage of D+ for yachts is that it is quite self-contained & covert and can be quite cheap most of the time, automatically switching to higher update rates (or alerts) when the yacht leaves the marina. I guess any systems that work in the USA probably also have some sort of geofence. Here in Asia it’s cheaper to pay monthly D+ fee than the monthly cellphone SIM card fee. Actual installed numbers have always been greatly exagerated. By all modem manufacturers. SecTrack is the largest wholesaler and proud to have friends like Dave on our track record. Installing D+ in the pleasure marine market makes no sense. The market is too small and not looking for this. Feel free to email me (luc@sectrack.be) for more personal talks. I can sympathise with what Luc says. SecTrack is the better choise for D+. Pricing and reliability are their strongest points. Does anyone know if the current D+ based systems on vessels (satamatics and skywave) that are used for SSAS are also compliant to LRIT, if not upgradabel, at what cost…?